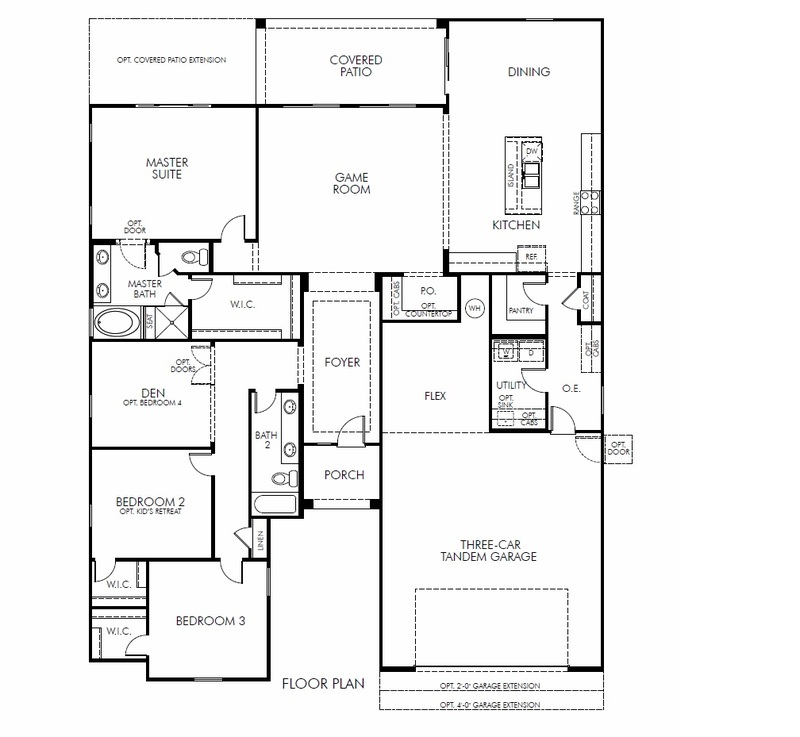 The Los Saguaros Webster Model has three bedrooms with walk in closets. The 2,391 square feet also provide ample storage spaces in nearly every room. Additional storage is made available with the expanded laundry room option. A patio extension option creates space that runs across the great room and master suite. The creates a great outdoor living space and makes the overall living space feel even larger. The Los Saguaros Webster Model Floorplan has a variety of options to change the rooms and expand the square footage of the home. There are also 3 elevations for the Los Saguaros Webster Model. Moving to the Tucson, Arizona area or considering Tucson for a future place to call home? Tucson has many things to do all the year around, including Golf, Pickleball, hiking and more.